New info appears online about upcoming Windows 10 1511 update build 10586.550. Insider team is testing Windows 10 1511 cumulative update PC build 10586.550 and Mobile build 10.0.10586.550. 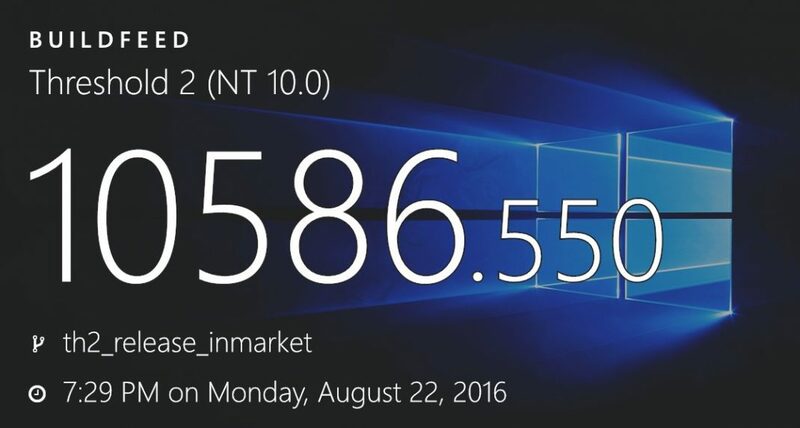 This latest internal build is compiled on August 22, 2016. Previously, the company had rolled out Cumulative Update KB3176493 or PC build 10586.545 and Mobile build 10.0.10586.545 for Windows 10 users with Threshold 2 update. Meanwhile, today Microsoft has released a new cumulative update build 14393.105 for the slow ring and release preview ring members.